At a meeting of about 30 avid transit riders, we brainstormed about some of our biggest issues with San Francisco’s MTA and how we’d like to see it improve. We had a really positive, engaged group of advocates contributing almost too many great ideas. This exercise was in response to Supervisors Peskin and Safai’s proposal to split up the SFMTA and inject more district politics into it. They and their vocal constituents are frustrated by lack of responsiveness to requests and concerns, and want to regain control over parking spaces and traffic lanes. The irony is that their proposal comes from a place of thinking the SFMTA is *too* transit-oriented, while the riders think the SFMTA isn’t transit-oriented enough. This disconnect points to the need to build the political will to truly be a Transit First city. San Francisco Transit Riders, as representatives of the rider’s voice, clearly has our work cut out for us to build the rider’s influence on the transportation conversation. We need to elect pro-transit representatives in City Hall. We need to let folks know how many riders there are; how many more there could be; how we benefit everyone by reducing traffic, congestion, and battles for parking; how we improve safety and contribute to the greening of San Francisco. We need to be truly Transit First to be a livable, vibrant, viable city into the future. We’ve broken down our group’s discussion into the following topics, with a summary of the problems and possible solutions where we could see them. Riders want a city that is clearer and bolder about its Transit First vision. Many riders feel that SFMTA doesn’t consider riders first when making decisions; that SFMTA still worries too much about impacts of projects on single occupancy vehicles, and still plans for most people to get around that way. Develop standards for Transit First planning (transit-only lanes, bulbouts, priority lights, stop spacing, etc. ), so we can measure our progress and hold the City accountable. Transit should be planned more comprehensively and holistically. Lay the foundation to develop transit in all parts of the city and cross-regionally. Make sure transit projects are ready for residential and commercial development projects we know are in the works (e.g., have DTX ready for Rincon Hill development, not catching up years later). Secure funding to keep transit construction on track even during economic downturns, when less private sector development is happening and construction is cheaper. SFMTA should examine the barriers to entry for non-riders, and how these barriers might be overcome. Once people ride, they often see the benefits. It seems to be a constant that SFMTA’s improvement projects end up behind schedule and over budget, when even the initial budget seems more than sufficient. We need to keep projects on track, and we need some accountability when things go sideways. Offer bonuses when contractors deliver on time; impose penalties when they’re late. Need better interagency management, transparency, and cooperation. Other agencies besides SFTMA are part of safety, planning, permitting, and execution. This process should be streamlined with clear accountability. The environmental review process should be streamlined — it shouldn’t take 2–4 years. Perhaps if projects meet Transit First standards (set above), they get expedited. Need to engender public support of existing projects, to counter the resistance to change. This resistance can lead to delays, compromises that undercut the projects, and even failure. Poor communication and poor customer service are chronic issues that leave riders stranded, delayed, and frustrated. 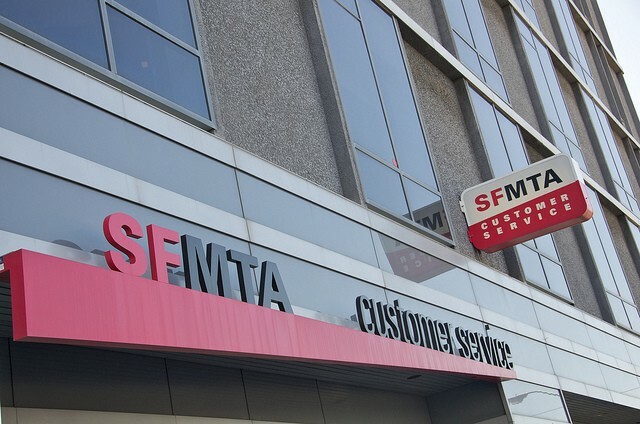 When they feel complaints aren’t heard or taken seriously, people lose faith in SFMTA’s ability to deliver for the transit rider. Need to remember who the customer is, and respond more helpfully and with better information to customer issues. 311 feels like a black hole — let’s try a new model for customer service. It would be super helpful to have real-time information about things like driver absenteeism and other service impacts. Transparency on which lines are affected and how would help riders plan accordingly. SFMTA has worked hard on increasing community outreach around project planning, but riders still find it difficult to understand issues and engage with the process. Riders would love to see increased quality of outreach — more accessible, tangible ways to learn about and provide input on projects. More accessible outreach: better visual representations; better online presence for engagement and feedback; more tabling where riders are; notices to residential neighbors; better information at stops and on vehicles about upcoming projects. Use properly validated studies for input, not just who shows up or answers surveys. Provide better explanations of context when asking the public to evaluate alternatives — the average rider doesn’t know why A or B plan might be better. Use physical life-sized models — take the scary out of change. A big barrier to riding is that too many non-riders perceive that public transit is dirty, unsafe, and overall unpleasant. And it certainly can be. We need to shift the culture from all sides — management, operators, and riders. Rider campaign to encourage respect for Muni vehicles, employees, and other riders. Develop an ambassador/safety program for safety and customer service. Prioritize street maintenance, like fixing potholes, on high-frequency transit routes. Engage operators in developing solutions around cleanliness and performance. Riders feel there must be some basic technological fixes that would improve Muni’s service. How hard can it be? Perhaps SFMTA can set up technological tools as a project unto itself, avoiding long-term contracts that don’t involve continual improvements (tech changes too fast! ), and with clear standards and accountability for improvement. Is dynamic re-routing possible to address gaps, bunching, and service interruptions? It can take hours to recover from incidents. Muni Metro digital signage is taking YEARS to implement and is already out of date and failing. Inaccurate schedules on Nextbus at stops. Why is NextMuni extended 2 years, rather than being ready to roll out a new system when the contract expired last summer? Riders of course want to see more thorough coverage that is faster, more frequent, and more reliable. And truly, this is a primary way public transit will be able to compete with private vehicles. All routes should be evaluated for increasing speed and frequency (such as light pre-emption, transit-only lanes, etc.). Need better integration of service for connections, loops, interagency transfers. Stop removal should be balanced by better paratransit service and/or nearby local service. San Francisco Transit Riders has a key role to play in making sure there’s the political will to keep transit planning and vision front and center, as a central part of our city’s vitality and growth. We need to elect supervisors who support the agencies in being effective at this work, not just tear them apart. We need to make sure we have strong rider representation on the various boards and advisory committees. We need to make sure supervisors are hearing from riders at least as much as they’re hearing from car drivers. Together, we can make this a truly Transit First city that works better for all residents, workers, and visitors.